MoviePass is putting two fingers in the air and screaming “YOLO” as it doubles down on its huge bets. Even though its parent company was running low on cash and its stock price has hit new lows, the film subscription company has announced plans to buy a prolific production company and launch its own movie studio. On Monday, MoviePass’s parent company, Helios & Matheson, revealed that it has agreed to acquire Emmett Furla Oasis Films (EFO) with an unspecified amount of cash and stock. The complicated announcement also claims the two companies have formed a new production studio called MoviePass Films LLC. MoviePass will take over ownership of the 80 films in EFO’s library like End of Watch and Lone Survivor as well as its current production slate, which includes an adaptation of the Atari game Asteroids and Martin Scorsese’s The Irishman. MoviePass CEO Mitch Lowe told Variety, “This signals our long-term commitment to the movie business. We’re here for the long haul.” It’s a bold claim and a bold move for a company that admitted it only had $15.7 million in the bank earlier this month. As it tries to convince movie theaters to work out a deal to share in profits, it’s shelling out full price for all those unlimited daily tickets while subscribers only pay $9.99 per month. At last count, MoviePass was spending $21.7 million a month to fuel its operation and rapid growth. Lowe later clarified that the company also has access to a $300 million credit line and could keep going for another 17 months... maybe. We’ve already seen signals that MoviePass wants to have a larger stake in the movie industry beyond being a ticket supplier. It bought Moviefone in April, and it made its first film acquisition back in January at the Sundance Film Festival. At Sundance, it insisted it was only looking to buy a small piece of films it believed in, but today’s news indicates it has far grander ambitions. The EFO library ranges from forgotten Nicolas Cage thrillers to prestige pics like Martin Scorsese’s Silence. It seems to be a relatively pragmatic company with profitable films, but it’s simply baffling that MoviePass is confident it can take on more liabilities while its core business is on such seemingly shaky ground. Its rival Sinemia has more modest plans that are still a good deal, and its been gaining ground. 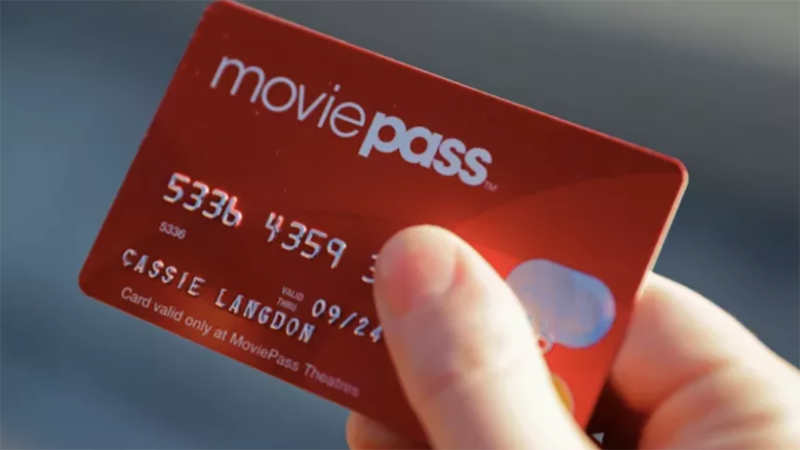 And the big movie theater chains have shown no public signs that they’re eager to strike a deal with MoviePass for revenue share. Until this point, most of MoviePass’s moves have appeared to be all about gaining some leverage and showing that it can promote the hell out of a movie through its app. The only clear rational here is that it wants to show off that proof of concept with a bunch of movies as fast as possible. If it can turn the upcoming Escape Plan 2 and Escape Plan 3 starring Sylvester Stallone into solid hits, I can only say that it will be making a pretty strong case for itself.